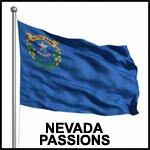 Born and raised in nevada Nevada was just the place that I was born into. So, it's home to me because of that. I'm used to the wide desert plains with mountains everywhere. The extreme heat and bitter cold winds. It's all just what I'm used to here. Does alexiafox belong in this group?